This is a great honor as it supports our vision of providing the best golf experience for not just golfers in California, but from all over the world. 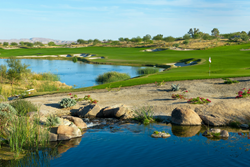 Rams Hill Golf Club, a Tom Fazio design, is celebrating an achievement that honors their commitment to providing a unique and pleasurable golf experience. After receiving more than 121,000 reviews during 2015, Golf Advisor has named Rams Hill as the #1 golf course by conditions and recently named it the Best Golf Course in the US for February 2016.